Fleet vehicles are under intense scrutiny as companies continue to search for new cost efficiencies. 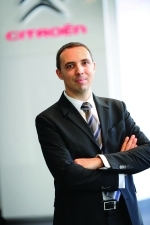 Stéphane Chesnel, business international director at CITROËN, explains how the company's team of international key account managers (IKAMs) can find economically viable, sustainable solutions to help clients meet their international fleet requirements. How does CITROËN handle complex international fleet demands? Stéphane Chesnel: We always do our best to meet the needs of our fleet customers through our international fleet organisation and services tailored to the needs of our clients. CITROËN has 500 business centres in Europe, and the sales and after-sales experts are tasked with meeting precise criteria to bring our professional customers a personalised and adapted response. Our international key account manager (IKAM) team is dedicated to international tenders and business development with large fleets. Have you found the finance director becoming more involved in fleet management decisions? All international corporations need to reduce indirect costs and reinforce risk management, so the involvement of the financial director in fleet management is increasingly important. This is why we work closely with the Residual Value and Total Cost of Ownership organisation set up at PSA Group level to analyse and optimise the competitive edge of its models. From the outset, these teams work with influential parties to assess the styling, perceived quality, level of equipment, engines and CO2 emissions of all new vehicles, as well as estimated sales volumes. These study workshops are designed to reflect B2B customer concerns. Financial directors must take into account the advantages of international contracts. Each company is assigned a dedicated IKAM whose job it is to address that organisation's specific problems, everything from coordinating with the client's leasers to advising them during fleet rationalisation projects. CITROËN also provides better global commercial conditions. What do you find is overlooked when companies are calculating the total cost of ownership (TCO)? Companies calculate the TCO using all the key elements and currently their calculations are comprehensive and accurate. However, driver behaviour should be taken in account more; it is important to initiate change and make drivers aware of new vehicle technologies created to reduce TCO. To showcase technologies that best protect the environment, CITROËN created a new initiative: CITROËN Airdream. This sustainable signature encompasses technological innovations such as the e-HDi micro-hybrid technology incorporated into the CITROËN C3 which, at the end of this year, will emit only 87g/km of CO2, among the lowest in its class. The second technology is the Hybrid4 (full-hybrid) diesel used in the CITROËN DS5, the brand's first car to feature a full-hybrid drivetrain combining an HDi diesel engine and electric motor. The Hybrid4 technology blends top-level performance of 200hp with extremely low CO2 emissions of 99g/km. Electric vehicles have been a reality at CITROËN since 2010 with the launch of the CITROËN Berlingo First Electrique Airdream and the C-ZERO, part of our full-electric technology range. Which vehicles were showcased at the 64th Frankfurt Motor Show? Of the three DS line models on our stand, pride of place went to the new CITROËN DS5, the first CITROËN to be fitted with Hybrid4 full-hybrid diesel technology for superior performance and reduced CO2 emissions of just 99g/km. We also presented a CITROËN C3 featuring e-HDi 70 micro-hybrid technology which emits only 87g/km of CO2. CITROËN unveiled its new concept car, Tubik, a high-end shuttle offering a new travelling experience to up to nine occupants and an eco-friendly diesel hybrid powerplant. It is evocative of an iconic vehicle in the brand's history, drawing inspiration from the TUB and the Type H.
What executive cars are suited to the CFO of today? We propose the CITROËN C4 Picasso and C5, which are very specious and confortable. The CITROËN C5 benefits from the world exclusive hydractive suspension, which provides an ideal balance between ride comfort and roadholding. Our DS line will attract customers looking for a resolutely modern approach to premium vehicles. The CITROËN DS4 combines the vitality, prestige and compact design of a coupé. Our original CITROËN DS5 will surprise and attract a financial director who fully appreciates the experience of driving an exceptional car. It combines a compact body with a spacious cabin and its aerodynamic sculpture expresses the finest in CITROËN expertise. Also, its low CO2 emission is a real asset for a responsible company and driver.